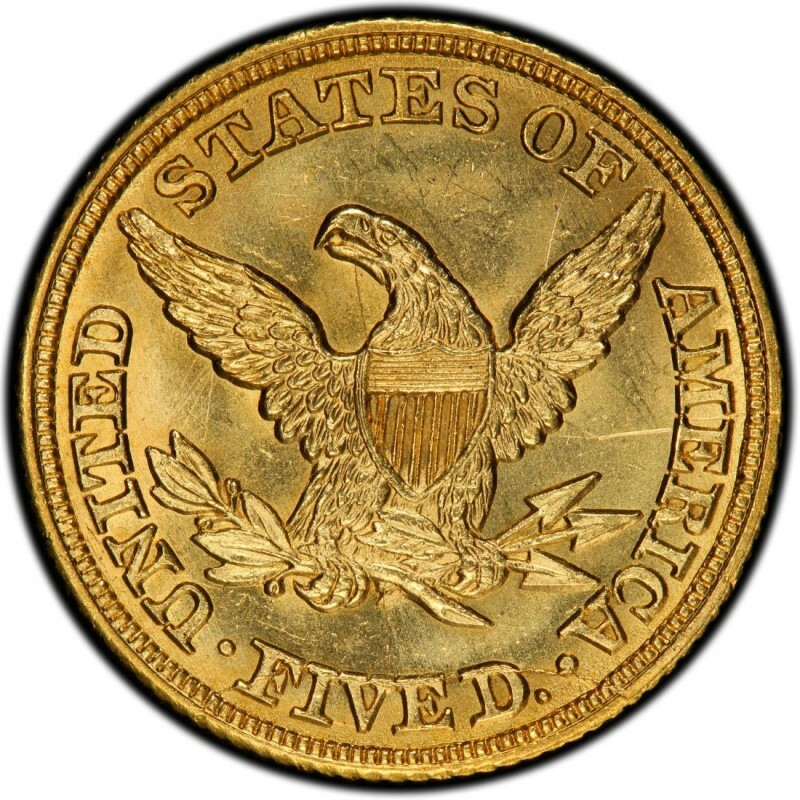 1847 Liberty Head $5 half eagle gold coins are available in five varieties, which counts the four basic mintmark varieties; the Philadelphia issue has an overdate issue, counting the fifth variety. In general, all 1847 half eagles are considered scarce, though the Charlotte (C), Dahlonega (D), and New Orleans (O) branch mint issues are by far the scarcest. Given the scarceness of all Liberty Head half eagles, and especially the branch mint coins, it’s essential that collectors consider buying only authenticated pieces to ensure they aren’t buying counterfeit gold coins, which are by and large too numerous to count. Liberty Head gold half eagles, which were designed by Christian Gobrecht, are not only scarce but they are also old. Therefore, they tend to have a much larger following from numismatists as opposed to bullion investors, who generally avoid the high price premium on these coins. 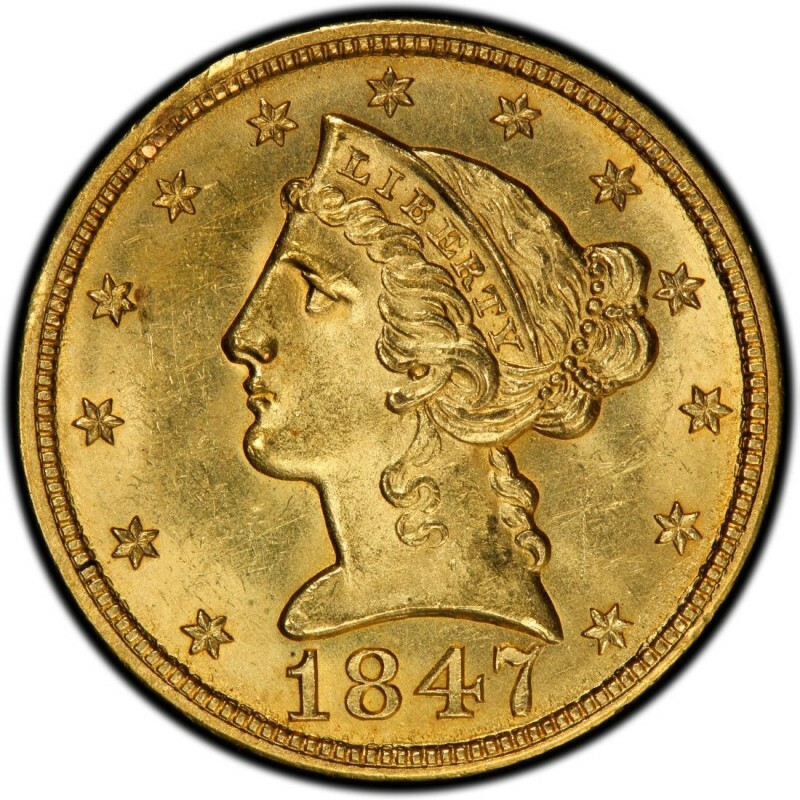 1847 Liberty Head half eagles contain a net pure gold content amounting to 0.24187 ounces and weigh a total of 8.359 grams. 1847-O $5 Liberty Gold Half Eagle AU 58 details ANACS No Reserve! 1847 C $5 Gold Liberty Head Half Eagle NCS AU DETAILS "OBV GRAFFITI"